A quick and easy, flavorful meal that looks like you slaved over a hot stove all day. 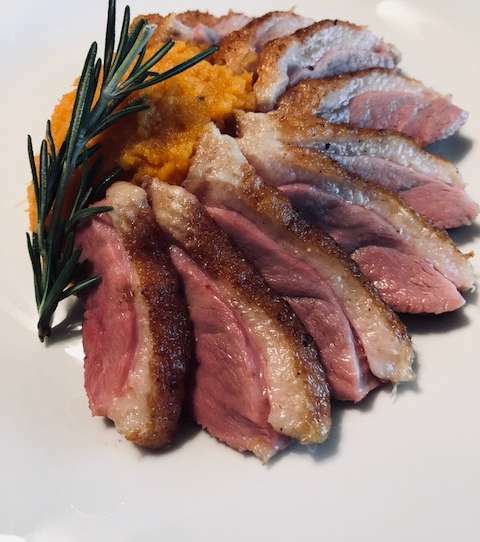 Lightly score the skin of the duck breast but be careful not to pierce the meat. 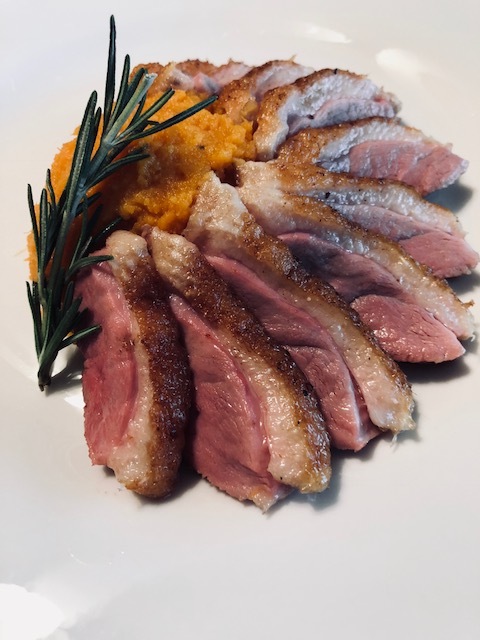 Place the duck breast in a vacuum sealed bag with the garlic and rosemary. Note that the garlic and rosemary will leave indentations on the skin so place on meat side. Sous Vide for one and a half hours at 135 degrees. Once done, remove and pan sear the skin until each piece is a nice golden brown, about 4-5 minutes.